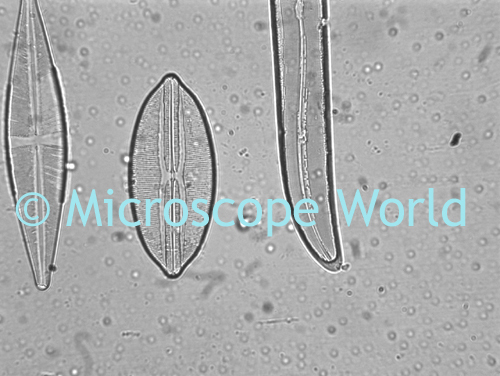 Whether your microscope cost a few hundred dollars or several thousand, it is a precision instrument and a few standard practices are required to care for it. 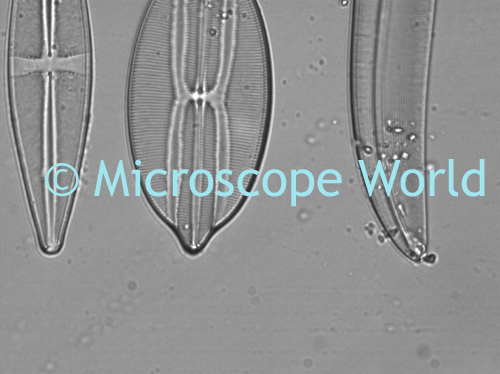 There is no reason for a microscope to perform less over time and your images should continue to be as sharp as when you first acquired it with only a small amount of maintenance. The most important thing is to keep the microscope clean, so cover it when not in use. Most microscopes have dust covers which come with the microscope. These protect the eyepieces and objectives from dust and debris that degrades the image and over time will affect the working mechanisms. If you don’t have a cover you can order a replacement or use an over-sized clean plastic bag that will cover the instrument. Even though the microscope can be and should be cleaned when needed, it is preferable to maintain a protected environment for the optical elements. Store the microscope in the most protected place possible. A closed cabinet or microscope case is ideal. A garage or hot attic could be disastrous. 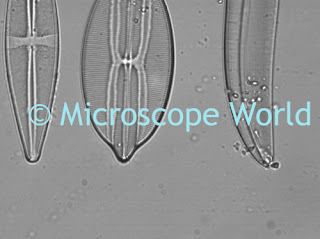 A microscope uses rubber-like seals on the objectives which will degrade in a hot and dry area. Also, the internal grease used to coat the gears in the focusing and stage control will also dry out. If you use the oil immersion lens (@100x), make sure you wipe the immersion oil off before putting the microscope away. Wipe away any spills on the stage. If not cleaned, the oil will harden and attract dust and other debris. This microscope image captured at 40x shows the distracting debris in the field of view and would be considered a poor photo-micrograph. 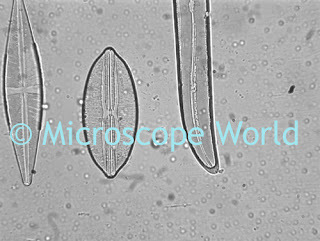 This is a much better microscope image where the debris has been cleaned off the microscope objective. The dust on the eyepieces can be cleaned with an air blower (included in this microscope cleaning kit), or canned air canister. Be very careful to hold the can upright as you use it. Keeping your microscope clean from the start will pay off many times over.